London is one of my favorite places to get Indian food. 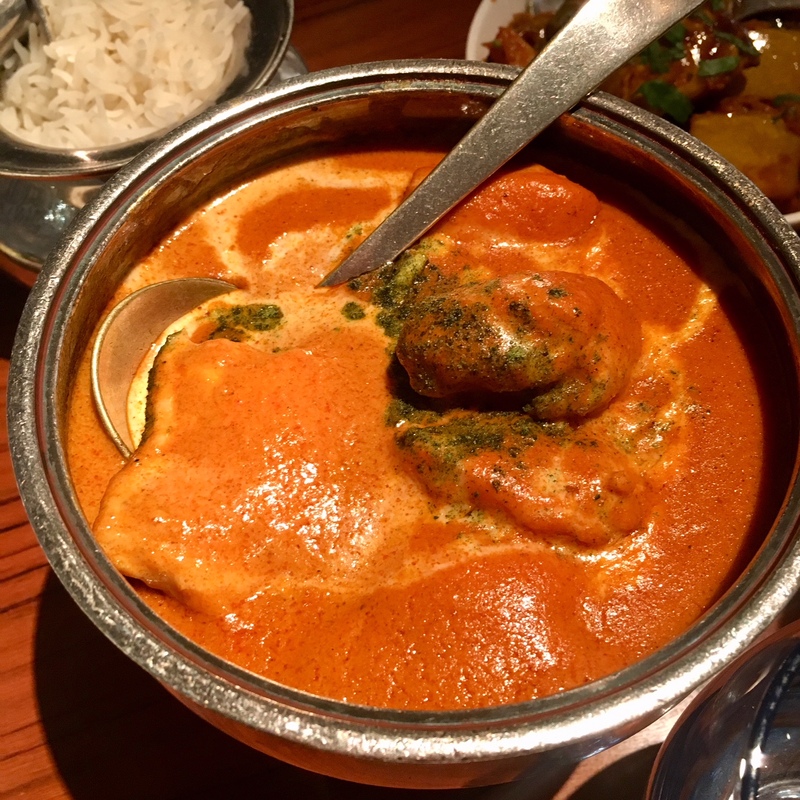 It is probably considered to be the best place to find curry outside of India. A friend of mine told me to check out Chutney Mary's. I made reservations for two online and couldn't wait. The restaurant is fairly sophisticated. It isn't a hole in the wall restaurant. It's somewhere you would want to take a person on a date, a work meeting, or impress someone. My date and I sat down in the far back corner of the restaurant. It was lunch time and the place was slightly busy. 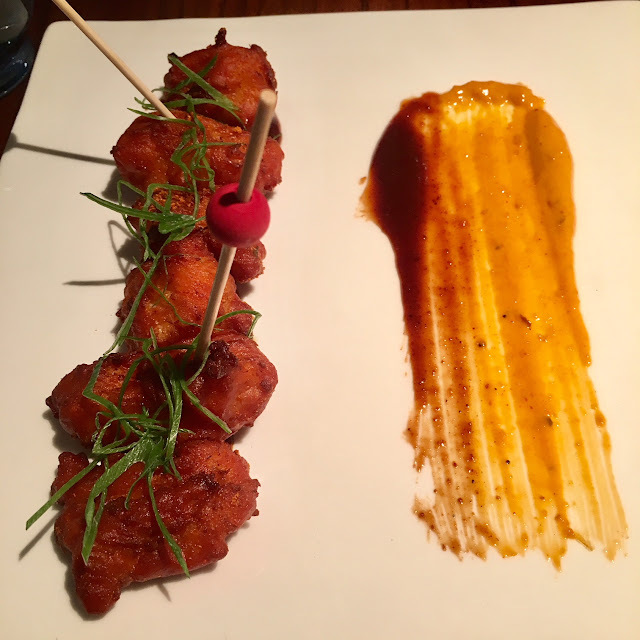 FISH PAKORA: Fresh Whiting, Tamarind Chutney. Surprisingly, this was delicious. It wasn't my first choice as an appetizer but my date wanted it. Thank goodness he did cause it was so good. It was moist and juicy and the outside was super crisp. A must get. 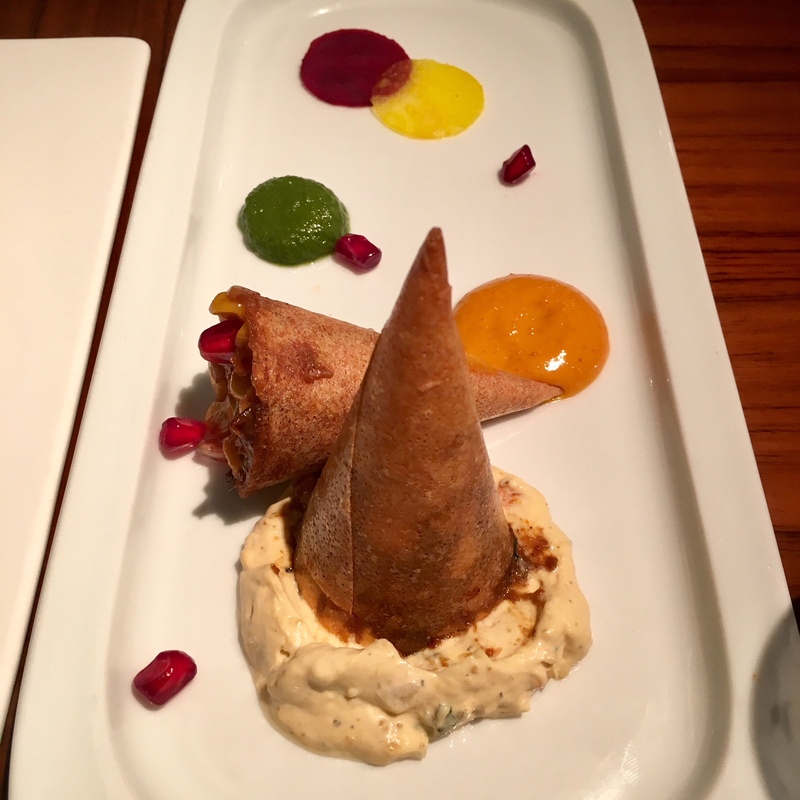 SAMOSAS. OMG! It was so good. It was light and crisp and not heavy at all. I think this was one of the best samosas I've had. Loved every bite! GRILLED PRAWNS: Marinated with Green Herbs. This was so good. There was so much flavor and the prawns were super succulent. It was cooked perfectly. There were enough spices and it wasn't too spicy hot. MY FAVORITE DISH. BUTTER CHICKEN METHI MASALA: Fresh Menthi Leaves, Cornfed Chicken Thigh, Carmelized Onion and Tomato. This was my favorite. It was so creamy with tons of flavor. The chicken was moist and delicious. I loved soaking my naan and rice with this dish. It's so worth it. 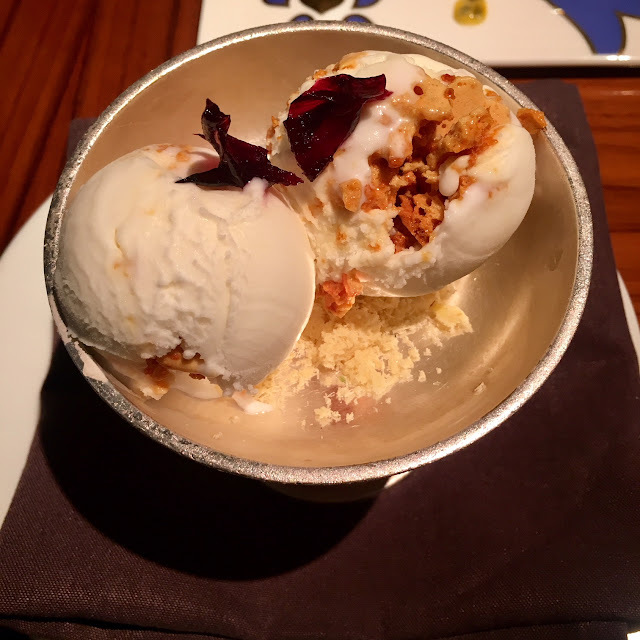 YOGURT AND HONEYCOMB ICE CREAM. Who would've thought an Indian restaurant would have amazing desserts?! This ice cream was so spot on. It was creamy and had texture from the honeycomb. I liked that it wasn't too sweet. 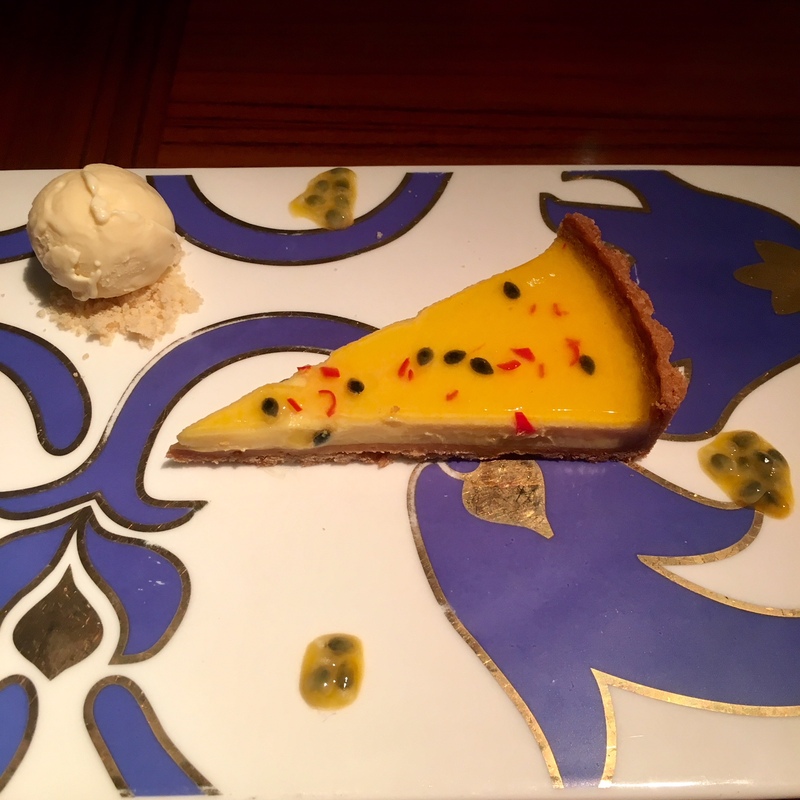 PASSIONFRUIT TART: This dessert was delicious as well. There was a bit of tartness from the passionfruit, which cut the creaminess and sweetness of the tart. I loved that it came with ice cream. It was a perfect combination. This is also a good dessert. Overall, I thought Chutney Mary's was great! It's a little bit on the pricey end compared to other Indian restaurants I've been to, but it's so worth it. The service was great and the food was fantastic. 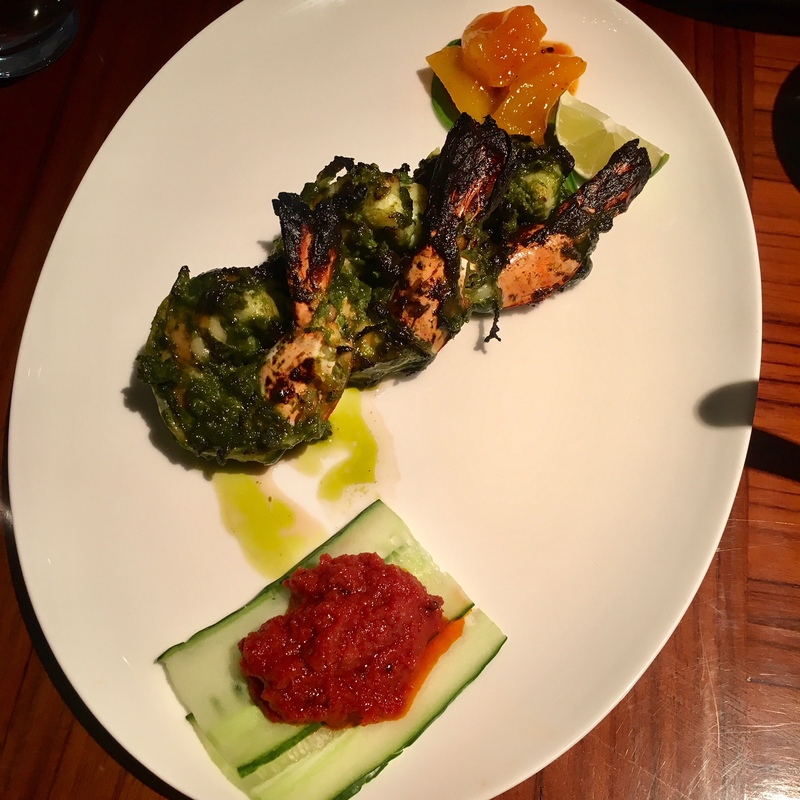 There was not a single dish I didn't like and it was somewhat different than the usual Indian food we have here in Los Angeles. If we had anything remotely close to this in LA, I would be there all the time. I highly recommend this restaurant for a visit.